Spring skiing is often the best because days are longer, sometimes a little warmer, prices may be lower, and there aren’t usually as many people on the slopes. There can be some difficulties that crop up during spring skiing that you don’t face during the colder winter months. Having ways to deal with these possible difficulties can make or break your spring skiing trips. One of the issues you’ll run into during spring skiing is ‘corn’ snow. This is very different from the powder snow you may encounter during the colder months. Corn snow is called that because the crystals are larger and rounded off like the kernels of corn you may enjoy eating. This comes due to the thaw-freeze cycle often found in spring skiing. The sun and warmer temperatures during the day melt the upper layer of the snow. Then this layer re-freezes during the night when temperatures drop. The longer this thawing-freezing cycle goes on, the larger these crystals become. In the early morning, the top layer of snow may be very solid. This shouldn’t last long once the sun hits it. This is one reason you may want to sleep in a little during spring skiing. You don’t have to be in a hurry to get out on the slopes. Much of the time, spring skiing brings with it lower prices for ski lift tickets, cheaper lessons, and package deals for not only this spring but possibly also next year if you purchase now. In addition, many lodges offer discounts for spring skiing. One thing you’ll have be more careful about is watching for rocks and downed trees that may be uncovered due to melting. Always wear sunscreen. Spring skiing will give you more exposure to the sun with the longer days. Be certain to re-apply the sunscreen often. Check the weather reports for your spring skiing. Dressing in layers is very important now because of the greater variability in temperatures during spring. Shedding and adding layers as needed will keep you comfortable. Always wear waterproof pants during spring skiing. If you fall, the snow will still be wet. You don’t want to add to your discomfort by having wet pants. 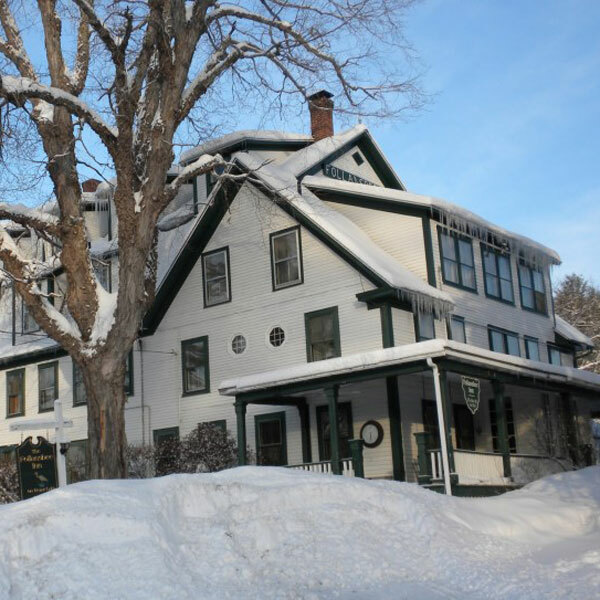 When you want to get away and enjoy spring skiing, the ideal bed and breakfast to come home to in the Sunapee/Dartmouth region is Follansbee Inn. Call 603-027-4221. Or visit www.follansbeeinn.com. Come see us along the shores of Kezar Lake for an enjoyable and relaxing time. One of the many activities available in the area around Follansbee Inn is hiking in early spring. There are a number of things you should keep in mind if you’re going to engage in this sport. One of the main things to do in preparing for hiking in early spring is to get in shape for it. Not a large number of people continue their hiking during the winter, so you may be a little out of shape from taking things easy during the winter. Even the easiest hiking in early spring, or any time for that matter, requires good balance and strength in order to avoid injury. Ankle rolling and ankle sprains are the top two injuries involved in hiking. There are quite a few things you can do to get ready for hiking in early spring and make it enjoyable without injury. Running or walking in sand is a good way to strengthen the muscles that protect your knees and ankles. Squats and lunges are good for developing your core and improving overall strength. Do them slowly to get the most benefit. Push-ups will help strengthen your shoulders and back for the times you do hikes with backpacks. Cardio exercises help build lung capacity for hiking in the spring and for any higher altitude hikes you might take. This can be done by running or walking. If you don’t have a place outside for running or walking, consider going to a gym and using the treadmill. Go out for a walk several times every week. Wear the same shoes or boots you’ll wear when hiking so your feet get used to them again. Walk at a brisk pace to get your heart rate up. Carry a light backpack to get yourself used to carrying packs again. Before setting out to go hiking in the spring be sure to check your gear. Make sure you have everything you need and it’s in good repair. There’s nothing so bad as going out hiking in the spring and suddenly find you don’t have something you really need or, if you have it, it doesn’t work or is broken. Be sure to check the weather before you go hiking in the spring. Know what you may run into. Have the necessary clothing and gear for rain, snow, mud, and sudden cold snaps. Bring layers of clothing. Put on and take off as needed. Also, be prepared for bugs. Hiking in early spring means you’re going to run into bugs that come out at the same time. When you want to get away and enjoy hiking in early spring, the ideal bed and breakfast to come home to in the Sunapee/Dartmouth region is Follansbee Inn. Call 603-027-4221. Or visit www.follansbeeinn.com. Come see us along the shores of Kezar Lake for an enjoyable and relaxing time. Few would argue the truth behind the observation that we have forgotten the value of rest. Today’s world is filled with a sense of urgency. We are admonished to hurry and get this or that done. We’re encouraged to spend every waking moment, even those not at work, in doing and doing and doing. People in the U.S. take fewer of their paid vacation days than just about any other country in the world. We truly have forgotten the value of rest. Due to the competitive nature of humans, we tend to think of the value of rest in terms of doing restful things competitively also. Look at ads and commercials. They show people in what could be restful environments pushing themselves to get more done in their ‘rest’. Being outdoors means hiking, running, mountain-biking, skiing, and boating in a hurry. The value of rest is lost in this kind of ‘resting’. The value of rest comes from letting yourself go so you can recharge and recover from the stressful lives nearly everyone leads. Doing this will help you achieve greater things on down the road. But it’s that ‘on down the road’ that keeps people from seeing the value of rest. We’re pressured to do it now and accomplish everything we can while we’re young. Few understand the wisdom in taking the long view. Part of the value of rest, is to take time for yourself. Today, too many families are wound up in going and doing with none of the members having any time for themselves. There is something to be said about sitting down in a comfortable chair and reading a good book. What too many people don’t realize is that continually working and pushing yourself will lead to sometimes significant physical problems. If these physical problems get serious enough, you can find yourself unable to work. Research has shown your productivity will increase when you take time to enjoy the value of rest. 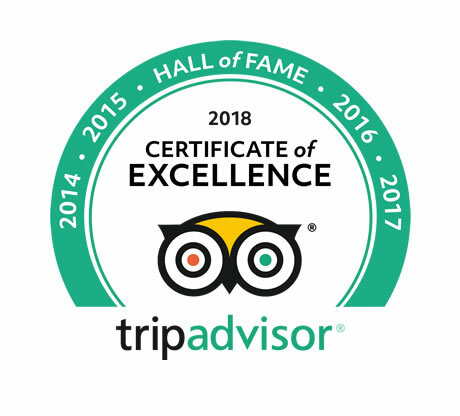 When you want to get away and enjoy a cozy and unique setting, the ideal bed and breakfast to come home to in the Sunapee/Dartmouth region is Follansbee Inn. Call 603-027-4221. Or visit www.follansbeeinn.com. Come see us along the shores of Kezar Lake for an enjoyable and relaxing time. Bed and breakfast inns have been around for a number of years. They have become a really handy way to book a getaway weekend to enjoy each other and/or some popular area. The bed and breakfast inns you’re familiar with have been around for about a hundred years. But the idea and the type of accommodations have a history than can be traced back much farther into the past. The typical arrangement for the more modern bed and breakfast inns has been the same for the entire hundred years of their existence. Usually one to six or so bedrooms serving two to twelve guests. The early bed and breakfast inns were set up to serve people who were traveling through a region. These inns were usually established in the mountain regions of the West, like in Colorado and California. The New England states were another popular region for the early inns. In the 1800s, travelers who frequented bed and breakfast inns were pioneers, gold seekers, miners, or professionals traveling from place to place. These early inns provided a bed and a hot breakfast the next morning to get these travelers off to a good start on the next leg of their journey. Most of the time these early bed and breakfast inns were located in private residences. Local professionals might offer fellow traveling professionals a room for the night with breakfast the next morning. Other residents might offer other travelers the same thing. In the 1900s more hotels and lodges were built. The bed and breakfast inns were seen as more affordable accommodations at that time. With more students and others visiting Europe and bringing back tales of the bed and breakfast inns there in the latter 1900s, these inns became much more popular here. Today, bed and breakfast inns provide a more cozy, warm, and attractive place to stay compared to modern hotels and motels. Rather than the seemingly sterile corporate places to stay, bed and breakfast inns give visitors quaint and cozy places to stop in locations that are popular and unique. Around Follansbee Inn there are several places you can go looking for antiques. This is an activity that can be done no matter the weather as long as you’re prepared. Local New London has several antique shops, as well as Sunapee, Grantham, Andover, Henniker and many other local towns that offer antique shops big and small. If you’re seriously looking for antiques to furnish your house or to decorate it, make a list of what you need. Define ‘need’ very loosely to give yourself a little leeway for impulse buying. If you’re shopping for something to fill in a space, be sure to take measurements of the space. Then, by taking a tape measure with you, you can be certain that must-have piece of furniture will fit your space. Be a smart shopper when you’re looking for antiques. Buying something at the first place you see it isn’t always the best idea. Check prices at several vendors to see what others are charging. If you find some higher and some lower, look for whatever it is priced somewhere in the middle. Always ask. If you don’t want to pay the listed price, ask for one that’s lower or for the lowest price the vendor will take. Much of the time when you’re looking for antiques, haggling is expected. It’s part of the game. The worst that can happen is the vendor is unwilling to make any changes in the price. If that is the case, and you don’t want to pay that much for the item, you can leave it without the regret of never asking for a better deal. Many times shopping in the off season when looking for antiques will land you a better deal. When the tourists have gone home for the season, local vendors may be willing to cut you a better deal to make a sale. When you want to enjoy looking for antiques, the ideal bed and breakfast to come home to in the Sunapee/Dartmouth region is Follansbee Inn. Call 603-927-4221. Come see us along the shores of Kezar Lake for an enjoyable and relaxing time. One of the great things about visiting a bed and breakfast in New England is the availability of winter sports. After all, no one wants to go to a wonderful place like Follansbee Inn in New Hampshire and just sit and look at the snow. There is no shortage of winter sports near Follansbee Inn. From Lake Kezar where Follansbee Inn is located, there are several well-known ski areas within a short distance. These areas provide skiing, snowboarding, snowmobiling, and ice skating. Located about twelve miles from Follansbee Inn, Mount Sunapee is “the largest New Hampshire ski resort closest to Boston.” Sunapee is an Algonquian Indian word meaning ‘Goose Lake’ and is known for giving skiers goosebumps. Upon arrival, you get the sense that this ski resort might be an extension of your family. It’s familiar, it’s warm (even in the middle of a cold winter’s day) and it’s a place where everyone in the family has fun. Sunapee is renowned for its snow grooming; indeed, every night the Sunapee groomers take to the slopes to make sure the snow is prepared for the next day’s skiing. Also located about twelve miles from Follansbee Inn is Ragged Mountain Ski Resort. Ragged Mountain’s 2,286 foot tall summit is one of the highest peaks in Merrimack County. Ragged is a wonderful venue for families looking for a ski vacation. Pine Hill Ski Club is in New London, not far from Follansbee Inn. Cross country skiing is their specialty. All volunteer and non-profit, the club keeps up miles of trails offered by generous landowners for cross country skiing. There is a section of trial open for Nordic skiers who want to bring their dogs along. You might also choose to cross country ski just outside the Inn’s front doors, around Kezar Lake and through Wadleigh State Park. Or perhaps you would rather borrow the Inn’s snow shoes and trek to Blueberry Island in the middle of Kezar Lake. On the way to Blueberry Island you might visit the many people ice fishing on Kezar. So, winter sports are available all around Follansbee Inn. There’s no reason to let winter weather keep you home and not taking advantage of this wonderful bed and breakfast treat. If you need a getaway place to de-stress and just relax for a few days, Follansbee Inn is your kind of place! When you want to enjoy time away, the ideal bed and breakfast in the Sunapee/Dartmouth region is Follansbee Inn. Call 603-927-4221. Come see us along the shores of Kezar Lake for an enjoyable and relaxing time. Looking for a quiet, relaxing, step back into the time of less stress and more relaxation? Follansbee Inn is the place for you. Many of the beds and breakfasts and other inns located on the beautiful lakes in New Hampshire fall into the category of cookie-cutter, and could be considered the McDonalds of beds and breakfasts. Not Follansbee Inn! This historic, gracious, charming inn is designed with the individual guest in mind. Close attention is paid to detail and to serving every guest in a way that is friendly and caring. There are 18 amazing guest rooms, each with an en-suite bath. Furnishings are tasteful, and the beds are comfortable, something not found in every accommodation. Follansbee Inn is a place to get away. Get away from the hustle and bustle of crowds and daily living. There’s even no TV in the rooms. But the internet connection has been said to be good by guests, so streaming of movies is possible. The daily breakfasts, served from 8 to 9 a.m., are delicious, unique, and clearly made with love for the well-being of the guests. And, the proximity to local dining spots for lunch or to New London, a short drive away, for dinner makes it easy to dine well. 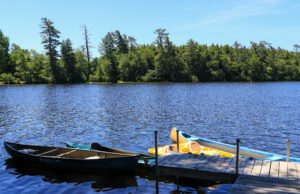 Follansbee Inn also provides complimentary canoes, kayaks, bicycles, and other gear for playing on or around Kezar Lake. The lake is right across the road for the inn, a perfect location. If you prefer just sitting on the dock or on the front porch, they are also available for you. Kezar Lake is not one of the big lakes where people race up and down constantly, either. It’s smaller, but very picturesque and inviting. Follansbee Inn is located in a region of New Hampshire noted for history and access to outdoor activities. All four seasons are not only beautiful in this area of New Hampshire, but also open for outdoor adventures year ‘round. So, if you need a getaway place to de-stress and just relax for a few days, Follansbee Inn is your kind of place! When you want to enjoy time away, the ideal bed and breakfast in the Sunapee/Dartmouth region is Follansbee Inn. Call 603-027-4221. Come see us along the shores of Kezar Lake for an enjoyable and relaxing time. Not many bed and breakfast facilities are located as fortunately as Follansbee Inn. It is on the shore of beautiful Kezar Lake and close to Lake Sunapee. This location gives those who stay at Follansbee Inn the option of several lake-oriented activities. Kezar Lake carves its curving, inviting way along the eastern edge of the White Mountains. Ten miles long and not more than a mile wide, it is a beautiful setting for Follansbee Inn. Not a lot of people see Kezar; they’re too busy cruising along Route 302 by Sebago Lake. This latter lake is the opposite of Kezar. It’s boisterous and popular, crowded by many more people. Staying at Follansbee Inn, you’ll be delighted with the quiet calmness of Kezar Lake. Even though it’s smaller and quieter, Kezar Lake offers a ton of things to do. Its water is exceptional for either getting on it and doing water activities or sitting beside it and enjoying nature. Speaking of nature, there is an opportunity for spotting the loon families that make their home on the lake. You could even see a bald eagle or three. Another delightful thing about Kezar Lake is that it is kept entirely hidden by woods from the roads that surround it. This gives the lake the feel of a country pond. And you’ll have access to all this when you stay at Follansbee Inn. But suppose you want more to do on a lake as you stay at Follansbee Inn. There’s Lake Sunapee only a short distance away. Sunapee is a larger, with 70 miles of shoreline and eleven islands. It is the fifth largest lake contained entirely in New Hampshire. There are seven sandy beach areas on Sunapee, although some have restricted town access. You’ll also find six boat ramps available on the lake. The water in this lake is so clear, much of it coming from cold underground springs, that you can see 30 feet down in some places. There are also activities on the shore for those who don’t care as much for the water. Craft fairs and activities “under the tent” are available in late summer. All of these activities on two lakes are available for you when you stay at Follansbee Inn. When you want to enjoy one of two lakes, the ideal bed and breakfast in the Sunapee/Dartmouth region is Follansbee Inn. Call 603-027-4221. Or visit www.follansbeeinn.com. Come see us along the shores of Kezar Lake for an enjoyable and relaxing time. There are some challenges you face when traveling with kids. Of course, one of the fallbacks you can depend on now is electronics of all kinds. But you don’t want the kids to go the entire way to wherever you’re headed with their heads buried in their phones or iPads. So here are some tips for traveling with kids that include electronics, but other things as well. One of the major things to keep in mind when traveling with kids is to take your time. Especially with younger kids, there will be times you must stop and let them stretch their legs, take potty breaks, and look at the flowers. Getting in a hurry will only lead to the kids having tantrums in the back seat and you having a tantrum in the front. Next, when traveling with kids, you should book your stops ahead. Maybe when it was just the two of you, spontaneity reigned. You would drive until you got tired or saw someplace you wanted to stop, then tried to find a place to stay the night. With kids, this can lead to cranky kids and crankier adults. So, book ahead. Like was mentioned in the beginning, when traveling with kids don’t rule out electronics altogether. Load them up with games and apps that will keep the kids happy. Just don’t let this be all they have to do. With younger kids, investing in a child locator device can be invaluable. Many kids, and adults, don’t like having leashes on them. They like to be unrestricted. And regardless of how close attention you pay to them, the little guys are quick. They can be out of sight in the blink of both eyes. A child locator in their shoe or strapped to a belt can help you find them quickly. Be sure to take medicine and first aid supplies along when traveling with kids. Accidents happen. Scraped knees, cut fingers, and sudden fevers can derail a trip quickly. If you allow your kids to pack their own suitcases or bags, be sure to check them. You don’t want to get halfway to your destination and find out your child didn’t pack any underwear. With older kids, engage them in the planning process. This will help them get away from the electronics easier and be a part of the vacation instead of standing around sullen and sulking. When traveling with kids, pack a small bag for each stop before your final destination. Keep extra clothing and things needed for overnight in these bags. This will keep you from having to search through the larger bags for things needed for one night. Keep a garbage bag handy when traveling with kids. Young kids, and some older ones, spill things, drop things, and make messes. Have baby wipes and paper towels available at all times. When you book ahead, consider a B and B. And the ideal bed and breakfast in the Sunapee/Dartmouth region is Follansbee Inn. Call 603-027-4221. Or visit www.follansbeeinn.com. Come see us along the shores of Kezar Lake for an enjoyable and relaxing time. Most people take their vacations in the summer time. Vacationing in the heat can be a difficult experience or it can be very relaxing. Here are some tips on how to make your summer vacation a good time. You know how annoying it can be to have the summer sun pounding down on your head and sweat running into your eyes. When vacationing in the heat, you can beat these annoyances by wearing a hat, bandanna, or buff. These items can also keep you from the unpleasant experience of sunburn on your face and neck. A bandanna or buff can also serve to keep sweat off your face and your hair under at least some control and out of your face. If you’re vacationing in the heat in very high temperatures, you can soak a bandanna or buff in cold water and get a quick cool down by wrapping them around your neck and washing your face. There are a number of moisture wicking performance fabrics available now. These serve to pull sweat away from your body when you’re vacationing in the heat. The only issue with them is: they tend to smell bad with the sweat build-up. But they’re very washable and can be washed one evening and worn the next day. Linen, seersucker, or some chambray clothing will also help you keep cool vacationing in the heat. The added benefit of this kind of clothing is it is stylish. You can usually find this clothing in nearly any store that carries clothing. Sunglasses can be a necessity also, especially if you’re vacationing in the heat in an area with a lot of reflected glare from the sun. Usually, it’s better to keep the cost of sunglasses down as much as possible in case of loss or breakage. Footwear when vacationing in the heat is also important. Sneakers are comfortable, but keep your feet wet with sweat. Consider flip-flops. Nearly anywhere you go, people wear these comfortable shoes in the summer. You won’t stand out if you wear them. Sandals and boat shoes are also good if you want more foot coverage than flip-flops provide. When vacationing in the heat remember to stay hydrated. Drink water, even if you don’t feel thirsty. Excessive heat is the number one weather related killer today. Beat the heat by drinking lots of water. You can also beat the heat by staying in an area bed and breakfast. And the ideal bed and breakfast in the Sunapee/Dartmouth region is Follansbee Inn. Call 603-027-4221. Or visit www.follansbeeinn.com. Come see us along the shores of Kezar Lake for an enjoyable and relaxing time.